In a development straight out of a sci-fi film, ZTE today showed off a smartphone that unlocks using a scan of your retinas. The ZTE Grand S3 uses EyeVerify to bypass any kind of lock screen, pin or pattern, instead using the front-facing camera to analyse the unique vein patterns in your eyes. To do this, you have to hold the phone fairly close to your face, and the majority of the screen lights up white to provide enough light for the scan. It’s one of the first phones in the world to offer this password-free, highly-secure method of unlocking. 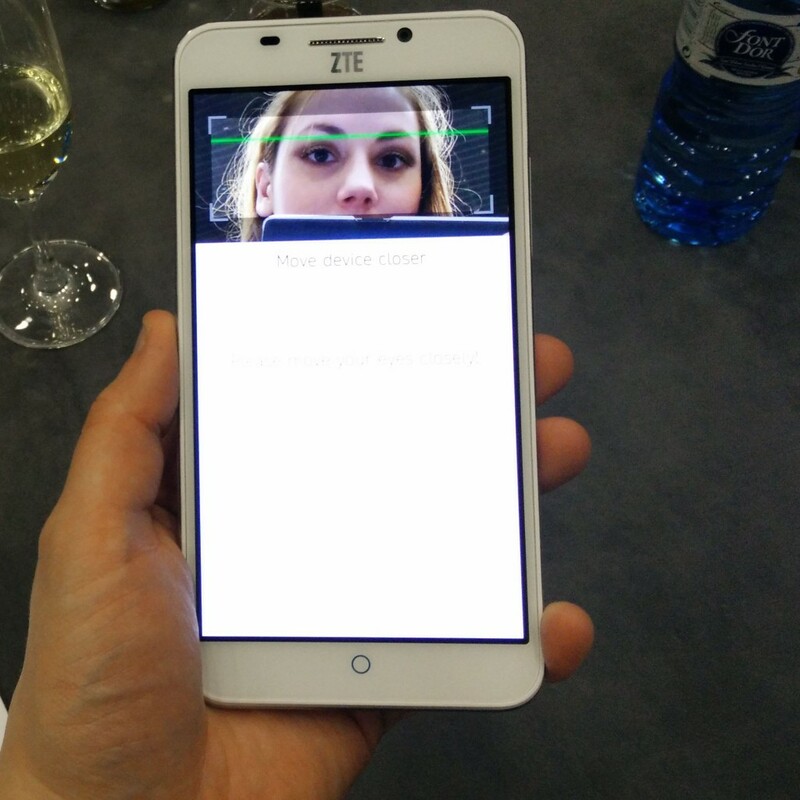 We tried the ZTE Grand S3 at Mobile World Congress and can confirm that it wouldn’t unlock for us, only the ZTE rep whose retinas it was set up to recognise. ZTE – based in Shenzhen, China – explained that EyeVerify uses a combination of the layout of your retinal veins in combination with your eye movements to identify you. They believe it’s the most secure way to lock a phone yet, and even improves in accuracy the more you use it: it gathers information on your eyes every time you unlock, to create a match database that’s basically impossible to fool. The Grand S3 (somewhat unwisely cribbing naming conventions from not one, but two Samsung phones!) is designed to be very security-conscious, not just for the enterprise market but safety-aware consumers, too. For instance, if your phone is stolen, the Grand S3 has the capability to analyse any new SIM card inserted and send the phone number to the original owner. This depends heavily on network support, of course, but it’s an interesting idea. It also has the ability to allow you to communicate with the thief (or innocent person who’s found your phone!) through the apps installed on it. Perhaps you could send them a photo of the reward money. The ZTE Grand S3 is available now in China at a cost of 2999 RMB, or about £310. ZTE couldn’t comment on plans to bring the phone to the UK as yet, but confirmed that it will be launching outside China this year. Other ZTE phones are already available in the UK, so we’re hopeful this one will be heading to our shores too. See all the latest news from ShinyShiny at Mobile World Congress here.